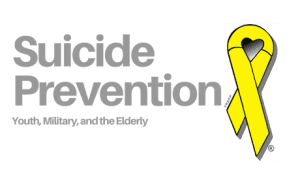 According to the American Foundation for Suicide Prevention, one person dies by suicide every 17 hours in the state of Kansas. 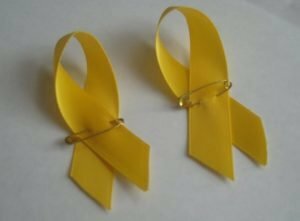 More than three times as many people die by suicide than by homicide in Kansas. The cost of lifetime medical and work loss cost in 2010 for Kansas was a total of $510,442,000 or an average of $1,272,922 per suicide death. Suicide in the 10th leading cause of death in Kansas. It is the 2nd leading cause for ages 15-44, 4th leading cause for ages 45-54, 8th leading cause for ages 55-64, and 18th leading cause of death for ages 65 and older. Kansas is ranked 15th in the nation in suicide deaths. 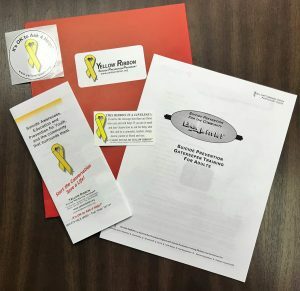 Without the skill and knowledge to perform simple prevention, intervention, and postvention strategies, the trauma of suicide, or a threat of a suicide, can become overwhelming. People have expressed that, as a community, they are at a lostt as to where to begin. This initiative shows communities where to begin. Trainings are available within Riley, Geary, and Pottawatomie counties. It is the responsibility of the requesting party to work with the Flint Hills Volunteer Center to arrange a space for the training and the participants.